Music legend Prince has passed away, leaving a massive hole in music and the lives of people around the world. As well as being a legend in the pop world, Prince was known as a generous and kind man. In 2007 he launched his 3121 fragrance with a concert and 24 hours of charity fundraising, splitting a portion of the proceeds between City of Hope, Jazz Foundation of America, H.A.L.O., Elevate Hope Foundation, Urban Farming, The Bridge and Edith Couey Memorial Scholarship Trust Fund. 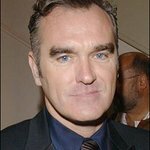 He supported the Elton John AIDS Foundation by attending the singer’s annual Academy Awards Viewing Party, and was once voted PETA's sexiest vegetarian. 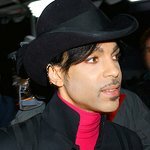 In 2011, Prince donated $250,000 to Eau Claire Promise Zone in Columbia, South Carolina, a citywide grassroots coalition of community partners committed to doing “whatever it takes” to ensure all of the city’s children are prepared to graduate from college and be successful in their career and in life. And in 2012 he partnered with Rebuild the Dream for a concert in Chicago to support the mobilization of hundreds of thousands of everyday people—from seniors to students, moms, dads, brothers and sisters—who come together to build strong vibrant communities and to fix our economy from the ground up. He performed at many charity events, including Tiger Woods' annual Tiger Jam, raising money for the Tiger Woods Foundation. “As the founder of Black Entertainment Television (BET) to which the musical genius of Prince contributed so much, I am deeply saddened by his untimely death,” said Robert L. Johnson, Founder & Chairman of The RLJ Companies, RLJ Entertainment, and the Founder of Black Entertainment Television. "The music world and a world of fans will miss this musical genius. Prince was one of the most brilliant and creative artists and performers, and he was also one of the smartest business music guys I met. “I will miss his idiosyncratic and quirky ways which fascinated me during the times we met when I was running BET, and of course his indelible imprint on the world of music.